Many business owners need an influx of cash, but don’t know where to turn to obtain quick business loans. The need for new equipment, supplies, unexpected repairs, meeting payroll and even a loss of business due to the economy are just some of the myriad of reasons that you may need a business loan to get you through financially challenging times. Many are unable to get a traditional business loans because of existing credit and financial challenges and a less than glowing credit report. A merchant cash advance may be a great option for those that need a business loan and didn’t know where to turn. You may be eligible for a merchant cash as long as your business is in the United States, you accept credit cards and have a total of $4,000 in credit/debit card receipts and you have owned your business for a minimum of 1-year. A merchant cash advance is a lump sum payment to a business that is repaid to the lender with a percentage of daily credit and debit card sales, typically repaid within 18 months. The repayment amount is not pre-determined like a traditional loan, since credit and debit card transactions fluctuate daily. Instead, a certain percentage is repaid each day, depending on receipts. A merchant cash advance is often the best alternative especially for those that may have bad credit or inability to obtain quick business loans from any other resource. Another benefit in obtaining a merchant cash advance is the fact that they can typically be turned around in around seven days so you will have the money you need, when you need it most. 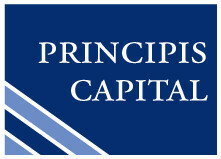 There are a number of companies that offer merchant cash advances, one of the industry leaders is Principis Capital. They go out of their way to make navigating the process quick and easy. It’s one of the most convenient ways to get quick business loans. • In less than 4 days all verifications are completed and funds are wired directly to your business bank account. Merchant cash advances are available for is little as $4,000 to as much as $150,000 depending on the business. And funding companies like Principis Capital provides quick business loans to a number of different industries, including bar/nightclubs, food/dining, franchises, retail, automotive and health and beauty. Don’t worry about how you will pay that unexpected bill or keep your business afloat, all you need to do is consider a merchant advance until you are on your feet again.